Discrimination issues, global screening, contractors, credit checks, social networking and a tsunami of legislation headline our 2011 list of top employment screening trends. Since 2007, we have developed an annual list for HR professionals and executives. This year’s trends are designed to equip hiring professionals with advance information on crucial screening topics before they become everyday news. 1 – EEOC takes aggressive action toward employment background checks. The Equal Employment Opportunity Commission (EEOC) has increased their scrutiny of hiring practices, exposing employers to a greater risk of discrimination lawsuits. The EEOC is especially targeting “bright line” hiring decisions that automatically exclude candidates with criminal records, arrest records that don’t result in a conviction, and/or poor credit. When adverse information surfaces, employers need to consider the severity of the offense, how long ago it occurred, if the person is a repeat offender and most importantly how closely it relates to the job being filled. 2 – Legislation and litigation deterring the practice of checking credit. The states of Hawaii, Oregon, Washington and Illinois have passed legislation aimed at curbing the use of employment credit reports, with nearly 20 other states proposing legislation. There is also an effort at the federal level (HR #3149) to do the same. A number of existing laws already provide protection for job candidates, but credit checks are becoming a hot button issue and the controversy only looks to intensify. 3 – “Ban The Box” laws take effect. Massachusetts, New Mexico, Connecticut and other states have passed “ban the box” laws that prohibit employers from asking for an applicant’s criminal background on the initial job application. Other effects of these laws involve changes to how long felony convictions will display on a person’s record, as well as the need for employers to have a written criminal offender record policy. 4 – Industry accreditation sets the bar for screening providers. Earlier this year the National Association of Professional Background Screeners (NAPBS) announced a new Background Screening Agency Accreditation Program (BSAAP). 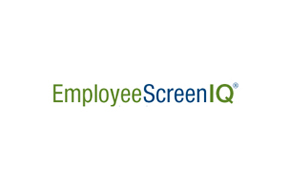 Only one percent of employment screening companies have earned this distinction, including EmployeeScreenIQ. Looking ahead, accreditation will serve as an important seal of approval that all companies should look for when choosing a background screening provider. 5 – Reigning in global screening. It’s a pervasive trend: companies establish offshore operations and also transport workers to North America from other countries. As this practice matures, employers must take a strict approach to developing best practices, understanding the individual laws and guidelines of each country and securing universal compliance. 6 – Screening contractors goes mainstream. Once small in number, contract employees have gained a significant presence among companies nationwide—and HR executives who take a hands-off managing approach are setting their company up for big risks. Over two-thirds of companies perform background checks on temporary workers, according to a 2010 survey by EmployeeScreenIQ. However, employers need to apply the same screening processes to temporary workers as they do for permanent employees. 7 – Emerging popularity of self-screening candidate tools. Up to 85 percent of job candidates are subjected to employer background checks, but many have no idea what might turn up. That’s changing with the widespread use of self-screening tools such as EmployeeScreenIQ’s TransparentMe.com service. Now candidates can perform an online criminal background check on themselves, avoiding unpleasant surprises and safeguarding against identity theft. 8 – Congress unveils the Consumer Financial Protection Agency. In July 2011, the new Bureau of Consumer Financial Protection will begin to carry out “consumer financial protection functions” previously done by Federal banking agencies and other authorities. The agency’s powers will extend far beyond mortgages and real estate, including credit reporting agencies in its oversight. It is still unclear how this will play out, but will likely affect any employment background screener that provides credit reports and any employer that uses them and subjects both parties to a dual regulator: the new Bureau and the Federal Trade Commission. 9 – Hiring controversies due to social networking. Social networking has exploded in popularity and employers now use Twitter and Facebook to influence hiring decisions. However, many sites have no verification process and several can be edited by anyone with access to the Internet—putting companies as risk for violating FCRA (Fair Credit Reporting Act) regulations and EEOC guidelines. As the background screening world becomes ever more complex in 2011, HR professionals need to be vigilant in reviewing all the elements of a background check. Every organization is unique in their hiring needs and practices. Every individual that you consider for employment should be judged on their own merit, strengths and weaknesses, by someone in the hiring organization that can consider the complete individual.